Get the best greenhouses near Kirbymoorside at Steam and Moorland Garden Centre. We are located just out of Pickering on the A169 (Malton Rd) and you can take a drive out to our premises that should not last more than 40 minutes. We are open all days of the week so our customers can visit us during the weekend when it is convenient for more of them. In terms of colour, you choose among black, green and aluminium. 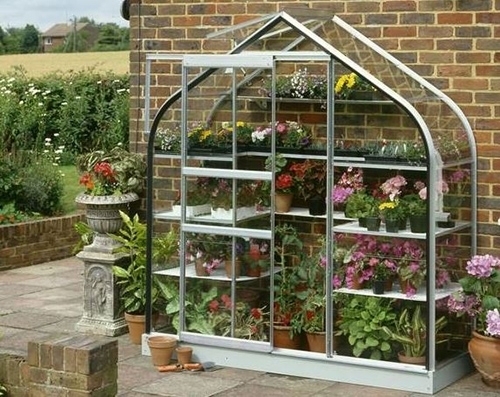 Similarly, in terms of glass type that you can get from Steam and Moorland Garden Centre for your greenhouse near Kirbymoorside, you can pick among polycarbonate, toughened glass, and horticultural glass options. When it comes to greenhouse manufacturers, we only trust four and keep their products in our inventory for now: Eden-Halls, Gabriel Ash, Juliana, Swallow (specialises in wooden greenhouse designs). You can visit our facility any day of the week and have a detailed discussion with our on-ground specialists about your best options. They will be happy to guide you and give you professional advice based on the specifications of your garden and needs, taking you straight to the products you need. We also stock a great range of lawnmowers for your garden at Steam and Moorland. Getting to our premises is quite simple. All you need to do is take your car and drive past Kirby Mills, Wrelton, and Aislaby on the A170 until you reach Pickering. From there, you turn to Malton Road and drive half a mile before you reach us. While we keep our displays of greenhouses near Kirbymoorside on-premises, those who live too far to take the trip can easily order their favourite greenhouse and much-needed accessories via our online store. Our online store allows you to browse all categories of our garden centre’s inventory using filters so you only see products that you prefer. You can place your orders securely for any address within the UK or in the EU using a Visa or MasterCard instrument or through PayPal. Visit our garden centre this week or place your order online today!